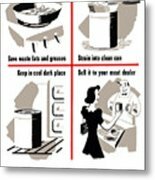 There are no comments for Save Waste Fats - Ww2 . Click here to post the first comment. 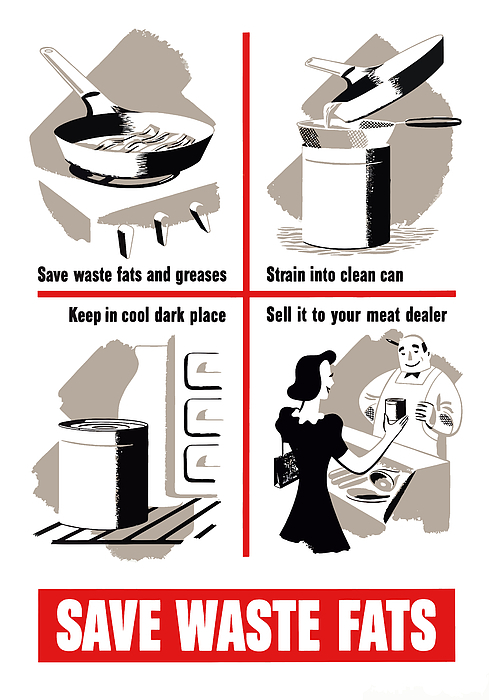 This vintage World War Two poster features ways to save cooking fats and greases and shows a woman giving them to her butcher. 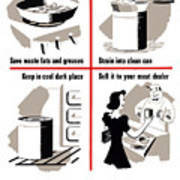 It declares, "Save Waste Fats". Celebrate American and WW2 History with this digitally restored vintage war poster from The War Is Hell Store.